Heunadel’s CEO, Ronny Gottschlich, has more than 20 years of retail experience running through his veins. Having started on the shop-floor, he rose to the position of Lidl UK CEO before leaving to found this Advisory. Having worked his way through the operations of one of the most successful retailers worldwide, he set about disrupting the British market and its incumbents. During the course of his tenure as CEO, he adapted Lidl’s offer to better suit the British shopper’s demands, whilst leaving the German engine silently purring in the background. In doing so, Lidl added billions in sales, more than doubled its market share and became the fastest growing grocer in Britain. His eye for detail isn’t limited to discount grocery in Britain. He is working with some big Supermarkets including, Sainsbury’s and A101 in Turkey, as well as advising PE business in their due diligence processes and customers of major Swiss banks on current and future trends in worldwide grocery. The execution of strategy be it in the form of in-store activation, mobile campaigns, TV commercials, packaging, PR and so on. The evaluation of the effectiveness and efficiency of marketing interventions through the use of market research and econometric analysis. 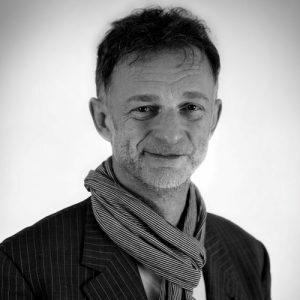 He has worked with Lidl, Tesco, Sainsbury’s, HSBC, Lloyds Bank, BNP Paribas, General Motors, Honda, Volvo, Genius Foods, Fuller Smith and Turner, Chanel and many more. 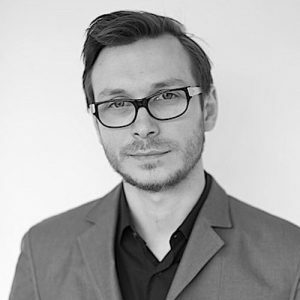 Martin has 20 years experience in digital marketing, ecommerce and digital business strategy. When the web was young he created a FRM system for the arts and charity sectors. That led to becoming strategy director and co-founder of a multi-award winning digital agency Glue London, sold to Dentsu Aegis Plc in 2005. From there he led innovation, advertising and digital strategy for several Dentsu group companies for 7 years. This involved creating all forms of advertising, social media and digital produc tdevelopment (apps, service design, websitesetc) for major global clients. He also led the innovation process educationfor 30 agencies across the group, benchmarking their digital capabilities and consulting with their CEOs on process and talent development. Following Dentsu he created the smart shopping assistant Tailored (www.tailored.to) which organised the wisdom of the web about products in order to instantly tailor the best product for each users personal needs. Tailored has raised $1m in funding and is developing advertising and data tools for major brands. Currently he’s contracting with startups and consumer brands in advertising and technology along side Tailored. He’s also launching a new coffee based energy drink; developing a regional coffee business into an international food and beverage consumer brand. International HR Executive with more than 18 years’ experience within the retail sector. 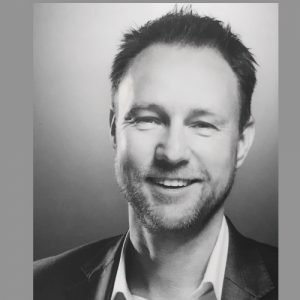 Gijs Heidstra provides a demonstrable record of achievement by establishing and leveraging Human Resources in accordance with business strategy, focusing on driving capability and organisational change requirements in order to maximise performance. Gijs’s passion for retail started 18 years ago when he joined Lidl on their Graduate International Training Program in Germany. He quickly progressed through the ranks taking on a variety of operational senior positions, which ultimately laid the perfect foundation for his next career move. Upon completion of his MCIPD Degree, Gijs was nominated to takeover the HR Directorposition at Lidl UK. For the next 10 years he successfully managed all areas of the Employee Life Cycle, building core capability and change to ensure future growth and alignment with Company strategies. 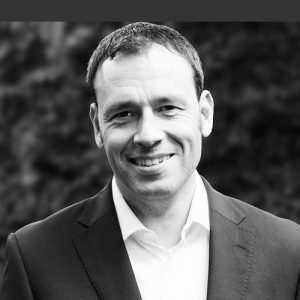 Following a career with Lidl which spanned more than 16 years, Gijs decided to return to his homecountry the Netherlands to work as International HR Leader for the Dutch retailer HEMA, where he was responsible to establishing and leveraging HR Strategies within Europe. Hanna is currently studying economics, management, and philosophy at the Martin-Luther-University in Halle (Saale). 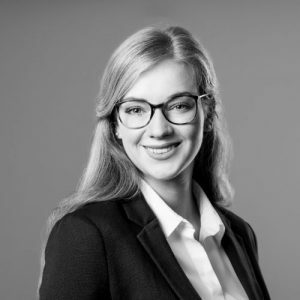 In our company, she supports the team as a contact person for the organisation and is responsible for the preparation of documents for upcoming events.